1. Preheat the oven to 170ºC/gas 3. 2. Place the olive oil, ginger, cumin, coriander, turmeric, harissa, lemon juice and zest, coriander stalks and a good pinch of salt into a blender and blend to form a smooth paste. 3. Place the lamb shoulder on a large double sheet of kitchen foil. Using a sharp knife, cut several incisions in the lamb. 4. Rub the spice paste thoroughly into the lamb. 5. Spoon over the water and wrap the foil around the lamb, leaving a pocket of air. 6. Place the foil-wrapped lamb in a roasting tray and roast for 4 hours.7. After 4 hours, open the foil and baste the lamb. 8. Add the garlic bulb to the roasting tray. Roast for a further hour, when the lamb should be meltingly tender and the garlic soft. 9. Meanwhile, make the salsa. 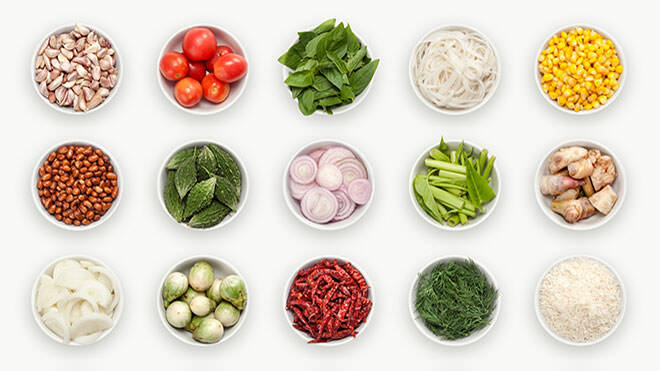 Place the tomato, onion, parsley, coriander leaves, lime juice and olive oil in a bowl. Season well with salt and freshly ground pepper and mix thoroughly. 10. Turn off the oven but leave the lamb to rest inside. 11. To make the warm aioli, gently heat the olive oil. In a small pan. Meanwhile, squeeze out soft garlic flesh from the roast garlic cloves into a blender. 12. Add the egg yolks and season with salt and freshly ground pepper. 13. With the motor running, gradually add the warm olive oil to make a smooth thick sauce. Gradually, add in the vinegar. 14. Place the aioli in a heavy-based saucepan and gently heat through before serving. 15. To serve, wrap the labna bread in a clean damp tea towel and warm through in the oven. 16. Meanwhile, shred the lamb using two forks. 17. Give each person a labna bread, smear over the garlic aioli, top with some lamb and finish off with some salsa. Wrap and eat immediately.